Used 2012 Ford Mustang V6 Coupe for Sale in Charlotte NC 28213 Carolina Rent A Car, Inc. 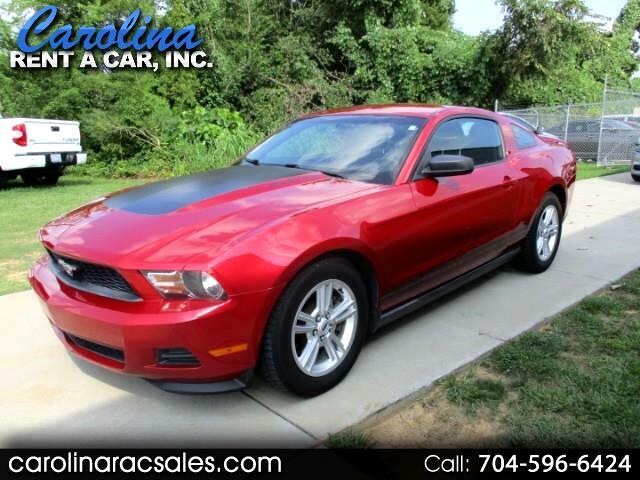 Very Nice Mustang LX available in Charlotte, NC with great miles. CARFAX shows 2 minor accidents, but professionally repaired. We have all service records since 6,170 miles. Clean NC Title, one previous owner than us. Car looks and drives great. Car has lots of features, power windows, power locks, cruise control, tilt steering, am/fm/stereo with sirus xm radio and cd player, keyless entry, alloy wheels, 3.7 liter v-6 engine, and much more. Add leather and heated seats for only $1200.00. Call John with any questions or to schedule a test drive at 704-596-6424.